In the digital world, a seismic shift is underway and every industry is turning towards application. High proliferation of smart phones is responsible for this major transformation that has made everything possible at fingertips. Its impact can be experienced right from shopping to education to the entertainment. Mobile solutions change the way you interact with the world. 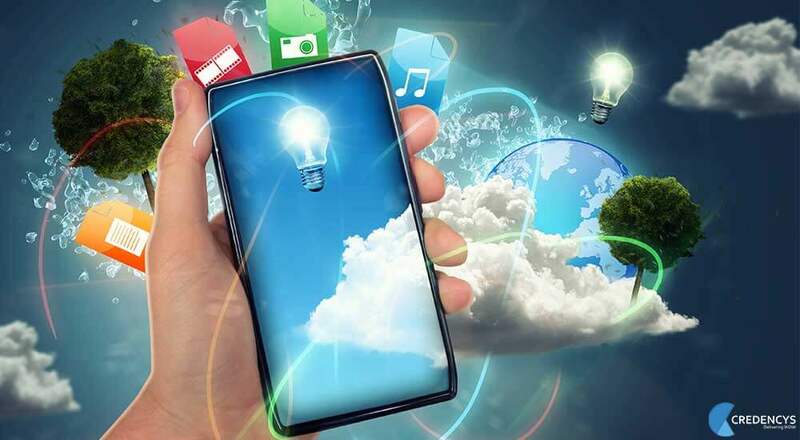 Over the past few years, entertainment market has changed radically and embraced mobile entertainment with a deep understanding of user’s insight. According to Juniper Research, the global mobile entertainment is estimated to reach $65.9 billion in 2016 from $36.1 billion in 2011, registering a CAAGR of over 12%. Here, question arises why customer prefer to go mobile for entertainment. Earlier, for different sort of fun, one is required different assets like- theaters for watching movies, physical games, casinos or headphones for gaming, gambling or listening music. Instead, lone smartphone aptly fits the balls. Now, people don’t need TV, DVD, theaters, games, casinos or more for entertainment, while hand-held device right in their pocket can provide all this anytime, anywhere. Custom mobile apps have created ripples in the entertainment industry and catalyzing the mobile entertainment boom. Presently, gaming industry is not like as it was a decade before. Also, demands of users have shifted too. However, mobility solutions using breathtaking technology presented such games that knock gamer socks off. Consequently, significant interest of not only teenagers while of every age group is witnessed towards the mobile games. All this is because of the engaging game play that helped in gaining more traction. 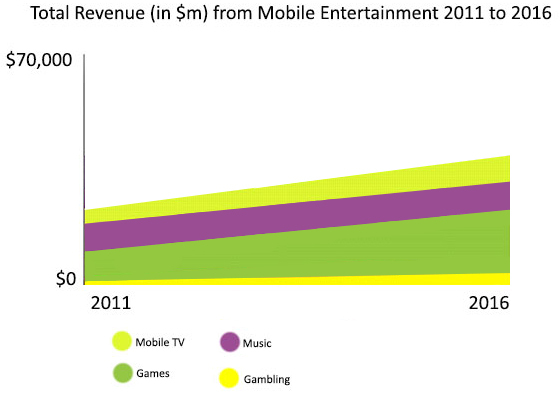 The increasing use custom mobile apps for games and infotainment will drive over $65 billion revenues by 2016. Listening music is the ultimate entertainment for the music lovers. Music mobile apps aided the music industry by increasing their reach to masses. Different music apps like- Pandora, Shazam, Spotify, Slacker radio and a lot more are loaded with additional features that stream the song for people they want to listen. Using these apps, people have the unlimited access to tens of millions songs and can turn the device to dynamic FM radio. Even, some apps like Google play music allow the user to store the songs at cloud for free online and then can stream the music to any device after logged on to their account. According to juniper research, Music app users would rise to 178 million by 2015. More often, people avoid taking the pain of moving to physical casinos. Online gambling is the best alternative for the gamblers, but mobile gambling apps let the people place their bets without tied to desktop or laptop. Bevy of gambling apps available on various platforms allows the people play with money or without money and have fun of real casinos. Now, about 1 in 5 online gamblers use mobile device for gambling on the go. Mobility solutions are helpful in spreading the word about the films through trailers, star cast interviews, release updates, latest reviews, etc. IMDB movies, Yidio, BBC iPlayer and much more have the huge collection of entertainment information that has made watching movies so easier which has never been so far. One can search for any Movies across Netflix, Hulu Plus, Amazon, HBO, iTunes, CBS and more, all in one app. Out of this, some provides content for free while some charges a certain amount for the movie they provide. Even, movies animated the real life characters in mobile games which had proven to be even more successful in alluring the audience and generating more revenue. No doubt, mobile entertainment will go mainstream in near future. As the technology evolves and time moves on, an upsurge in the mobile content consumption would surely increase. Entertainment mobility services will become rich and more engaging using advanced technology like- augmented reality, virtual reality, etc. At Credencys, our prolific team engineer feature-rich entertainment mobile solutions with expertise using cutting-edge technology. Get ready to employ and deploy such mobile solutions! On-demand Grocery Delivery App: How Does it Influence Traditional Shopping? What are the Key Roles and Traits of a Leader in an Agile Software Development Company? Travel App Development: 15 Features of Successful Travel App Nobody Told You About! Sandeep has more than 2 decades of experience in creating world class teams and driving innovation through cutting edge products and solutions. He is Driving Credencys to Deliver on the promise of "Great Customer Experience" by evangelizing “Ubiquitous Mobility” and how it is transforming the way we live, work & evolve as humans. Hey there. Would you like to set up a demo to find out more about our past work and see how we can build your next big app?